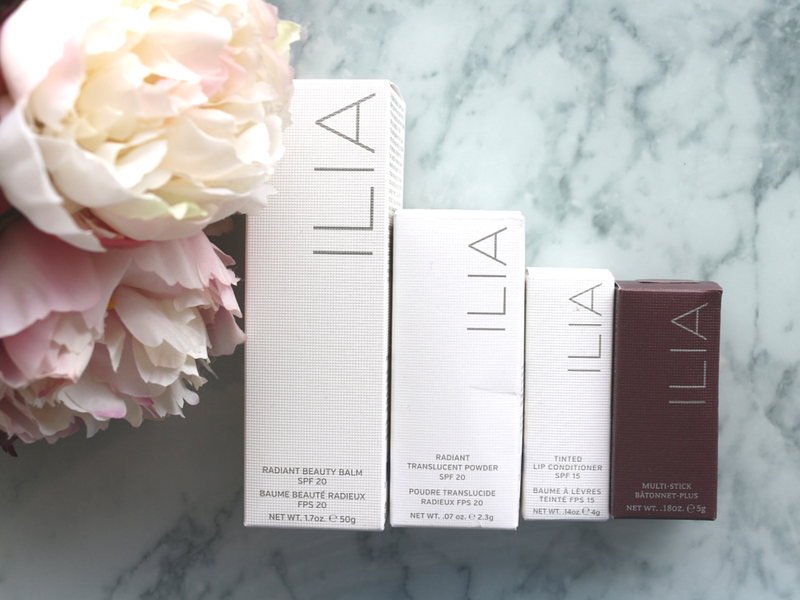 ILIA Beauty Review. Natural Beauty. Welcome to the world of ILIA. A luxury beauty brand that not only creates your makeup look but cares for your skin in the long run. Each and every product is specially formulated to add anti-oxidants, moisturisers and SPF to your skin to encourage confidence in you, whether your have your face on or not! I have picked a few of my favourites to show you today which have all quickly become staples in my everyday makeup routine. Kokomo tinted lip conditioner is not to be mistaken for a lipstick. It is an incredibly nourishing lip product that not only provides you with a subtle boost of colour but it gives your lips all the care they deserve in the ever changing British weather. The conditioner itself contains not only cocoa and Shea butter for its moisturising properties but it also includes Avocado, Sesame, Cranberry and Passionflower oils for their anti-oxidant qualities. The pigments in these lip conditioners are subtle, so don't be put off by their bold exterior. They have a sheer pigment that gives your lips a beautiful lift and a perfect pick me up. Cheek to Cheek multi-stick has quickly become a makeup bag staple for me. This multi use product is fabulous for on the go, going from day to night makeup for a subtle pick me it. The multi-stick can be used on cheeks, eyes and lips and gives a beautiful subtle blush. Cheek to Cheek is a gorgeous pigment which I think would suit every skin tone, the almost sienna red evokes thoughts of Tuscany and warmth. The formula is extremely moisturising and easy to use. Containing vitamin E and Shea butter it is also good for your skin. All Your Gold Beauty Balm. All Your Gold is an amazing example of a beauty balm that has got it right. The formulation is light and it includes Aloe Vera and Coconut, so it feels very moisturising on your skin. As well as reducing the appearance of pores, I found that it gave my skin a healthy dewiness without making it look wet or oily. It has a very subtle shimmer that reflects the light beautifully making your skin appear a whole lot healthier. All Your Gold can be used alone or as a base for the rest of your makeup. It works amazingly well for both but I think this balm will give me the confidence to go foundation free for the Summer especially considering it contains SPF 20. Moondance is a beautiful product. The packaging is the perfect size for travel and for application on the go. The brush is removable which makes for easy cleaning. The powder itself is translucent with SPF 20. Although it gives no pigment it does give the skin a wonderful luminosity and a really healthy glow. The powder is fine and subtle so there is no fear of cakiness when applied lightly. I have to say this powder really helped my makeup stay put for much longer, it combated my oil and gave a glow that I couldn't achieve with foundation. ILIA's entire range is now for sale in the UK and can be found here. Maybe you will find something you love as much as I love these!